A 15-year-old boy from Aylesbury has been arrested in connection with a series of public order offences in Amersham. 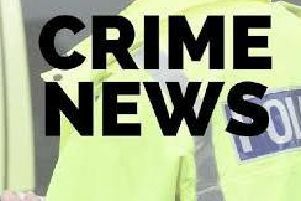 Four arrests were made following four incidents in the town on Thursday February 15. The first took place at the Costa Coffee store in Sycamore Road at around 4.50 pm when a group of youths started intimidating customers and staff. Then at around 5.45pm the group were seen obstructing drivers from exiting the multi-storey car park in the town. Between 6.45pm and 7.15pm the same group were removed from the Tesco Express store in Hill Avenue and were given a warning by officers. At around 9pm police then arrested the youths at the multi-storey car park. The youths were described as between 14 and 17 years of age, wearing tracksuits, hoodies and face coverings. As well as the 15-year-old from Aylesbury, boys aged 14, 15 and 17, all from Amersham, were arrested on suspicion of public order offences before being released under investigation. Investigating officer Sergeant Paul Cossey said: “We have arrested these individuals for public order offences. “We are carrying out an investigation, and we would urge any members of the public to come forward with any reports of anti-social behaviour within Amersham town centre, as we will be taking a robust approach with any individuals who intimidate members of the public and break the law.